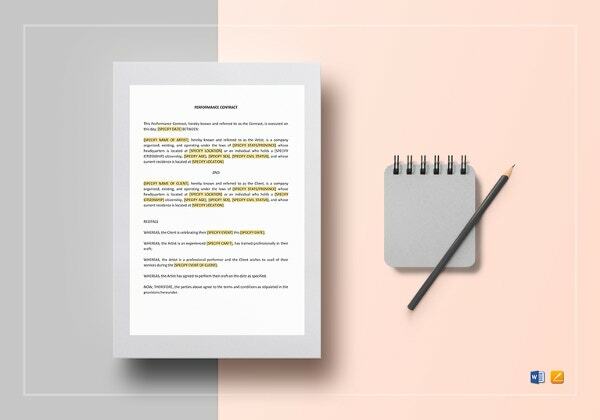 There are jobs in different fields that only a favorable few can actually do. 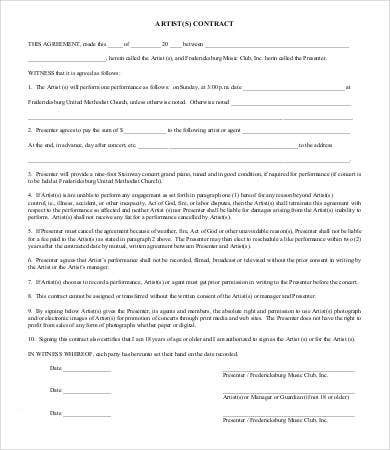 These jobs are special in a way that their functions are not like the normal jobs that we are usually aware of and is used in doing. 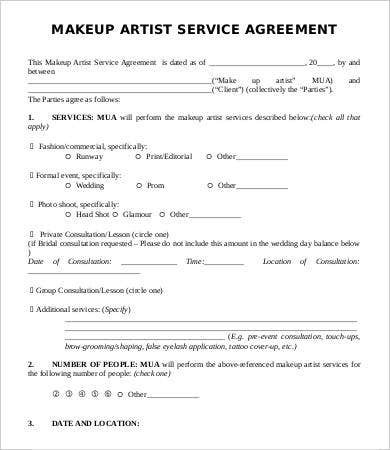 A job of an artist is one of them. 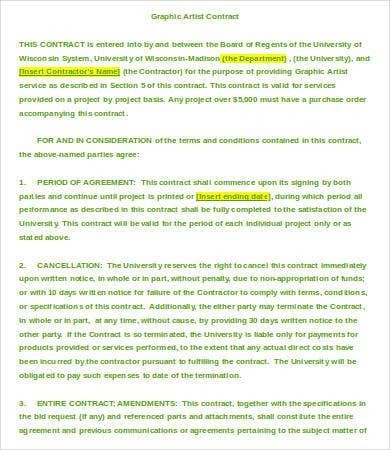 They do not work in eight hours per day basis, and they do not have regular schedules. 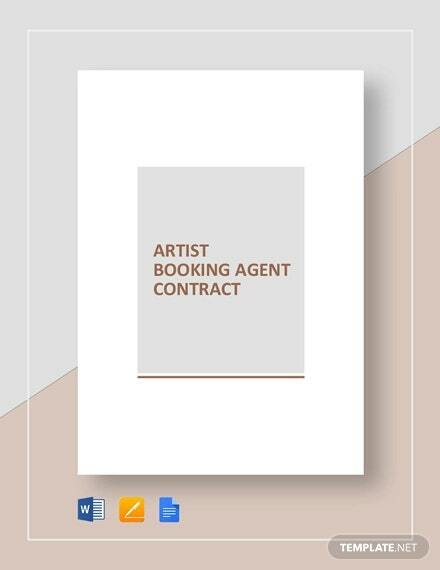 Their work depends on the activities and projects that they have booked and what they do may vary depending on the offers that they get. 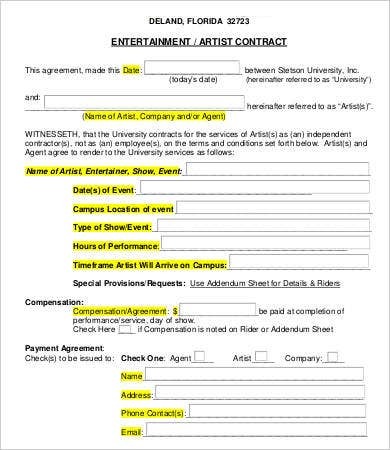 An artist may either be a recording talent, a dancer, an actor or an actress, a DJ, and any other jobs connected to the term. 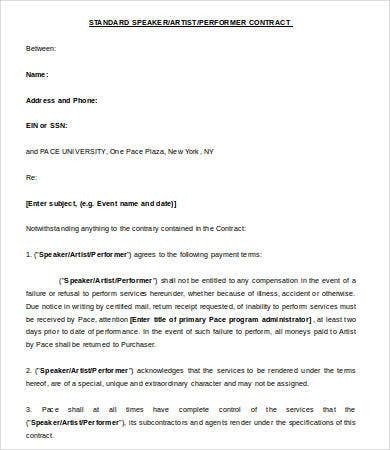 It is very important for these people to have contracts in every activity that they engage themselves into as their benefits and salary also vary just like as their job requirements do. 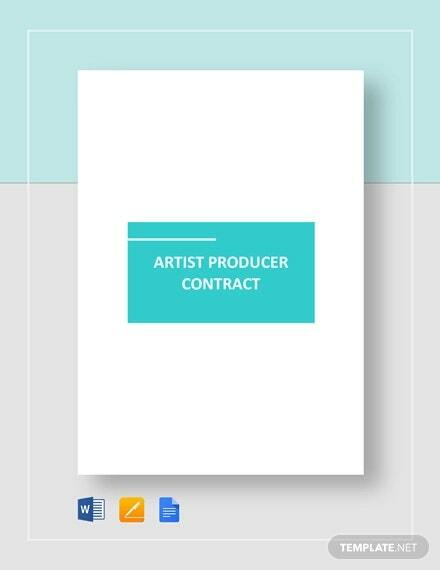 For more specific contract templates for artists, you may view our sample Music Contract samples. 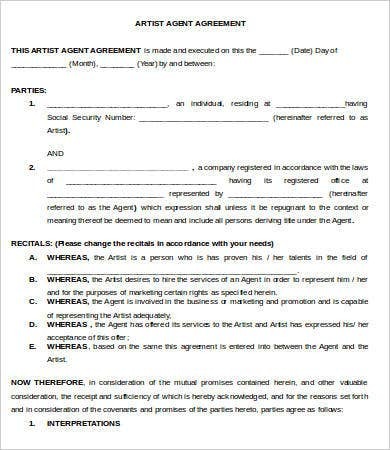 What Is an Artist Contract? 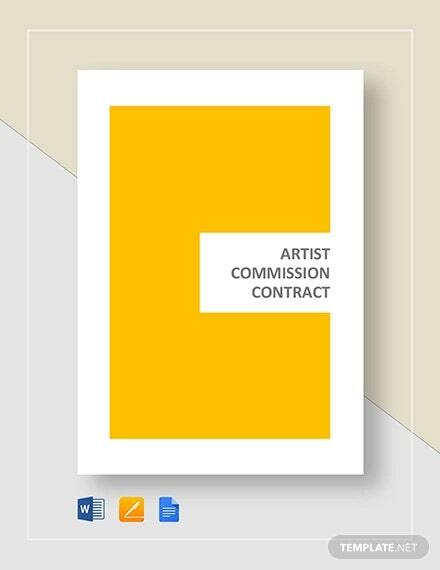 Other than our artist contracts, browse through and download our Consulting Contract and Service Contract as well and use them as references to whatever purpose they may be of use. 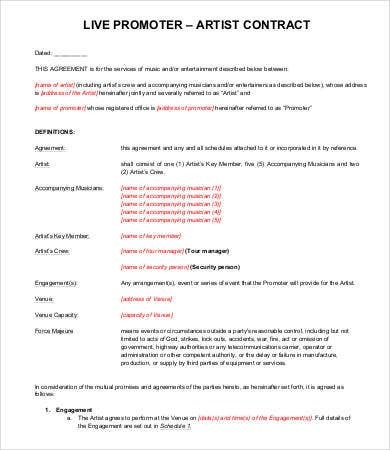 It is very important for both the artist and the management to have a contract that will be used as a reference with regard to the arrangements that they have agreed upon. 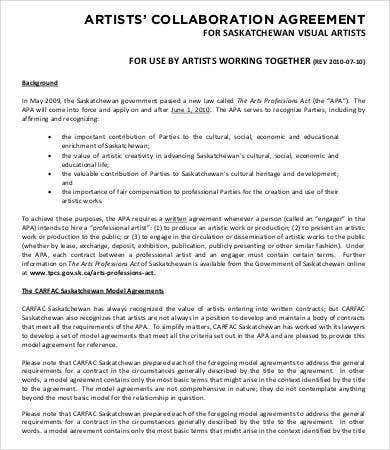 It will allow the artist to know the things that he or she will be doing, and it will also help him or her to protect his or her rights both as an individual and as a talent of the company where he or she signed a contract with. 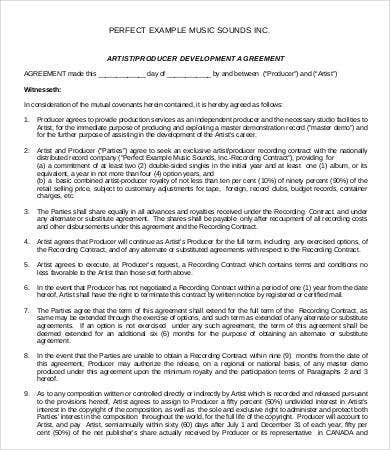 The management will also have a document to prove that the artist should only be doing works that they are aware of and that they have the power to make the career of a specific artist grow in due time. 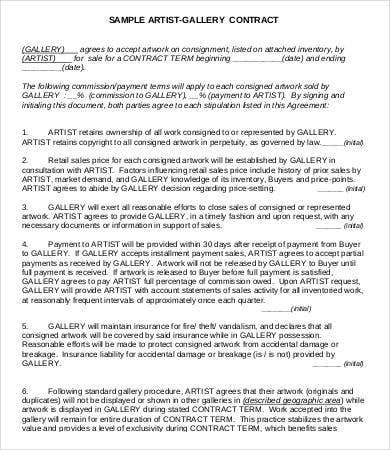 These are the reasons why it is very important to have a contract when you are an artist. 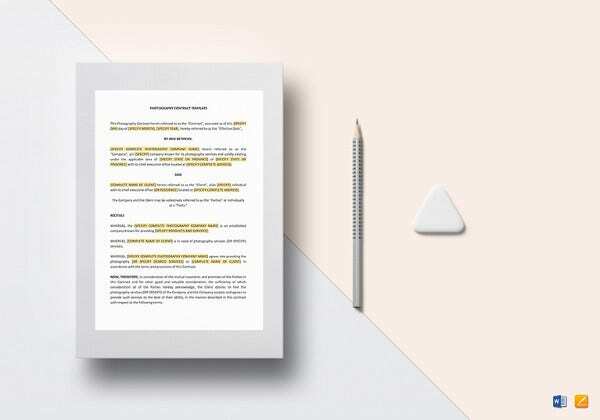 It allows both sides to know their functions, and it also gives them the idea of the entire processes that are needed to be done and fulfilled in a time frame given to each of them. 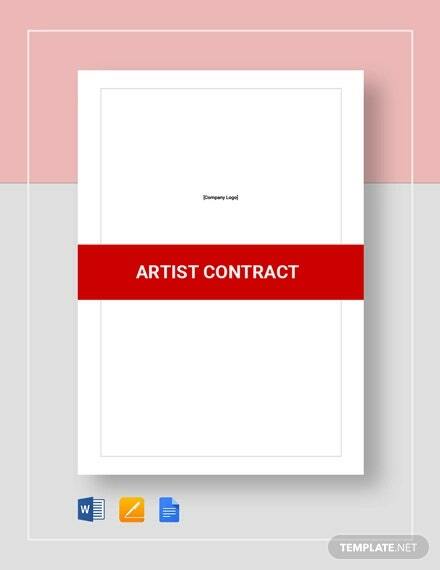 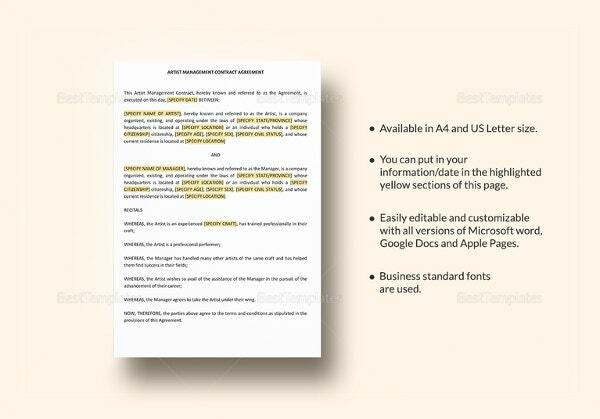 Aside from our artist contract templates and samples, you may also download our Job Contract samples.